View cart “Bach Praeludium from Partita in Bb major” has been added to your cart. April Brahinsky, a longtime pianist and teacher kicks off our Watchfire Music Church Music Series by providing recorded instrumental music for use in church. 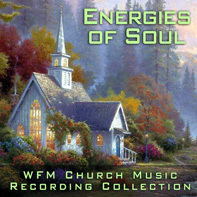 Here are instrumentals to fulfill the needs of churches that desire to play recorded music for their Preludes, Offertories and Postludes. They are divided into three categories: Calm and Prayerful – perhaps just a perfect way to start your Sunday morning service, Joyful and Rousing – more energetic and perhaps better for a Postlude, and Energies of Soul – those that could go either way and also might be a great choice for your Offertory. We’ll let you decide. April Abraham Brahinsky is a longtime pianist and teacher, having begun her musical training with her parents, and receiving the Bachelor of Music degree from Peabody Conservatory and the Master of Music and Doctor of Musical Arts degrees from the University of Texas at Austin. For eleven years, April taught at Northwest Music Studios, San Antonio, established by her parents, Robin and Peggy Abraham, and since 1991 she has maintained her own private studio. 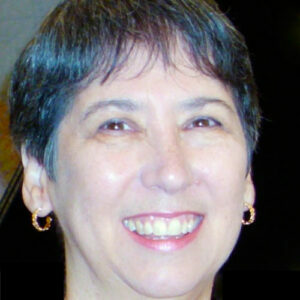 From 1993 to 1995 she was a member of the part-time music faculty at Trinity University in San Antonio. Her students have won first-place awards in area and state contests, and have been selected to perform in numerous master classes. In 1993, she was selected by the Texas Music Teachers Association as Pre-college Teacher of the Year. Her performing experience includes numerous solo and chamber music recitals, and she has been the accompanist for students performing throughout Texas and in Mexico. April is married to Eric Brahinsky, a professional violinist and violin teacher. April has recently begun writing songs for the services at her church. She is grateful to be included on the Watchfire roster and hopes that others will find her songs uplifting and useful.